71% customers who experience a decent social media interaction with your brand will recommend it to others. 96% people who participate in conversations about businesses do not follow said company’s profiles. And, the total global social media users have gone as high as 2.80 billion. 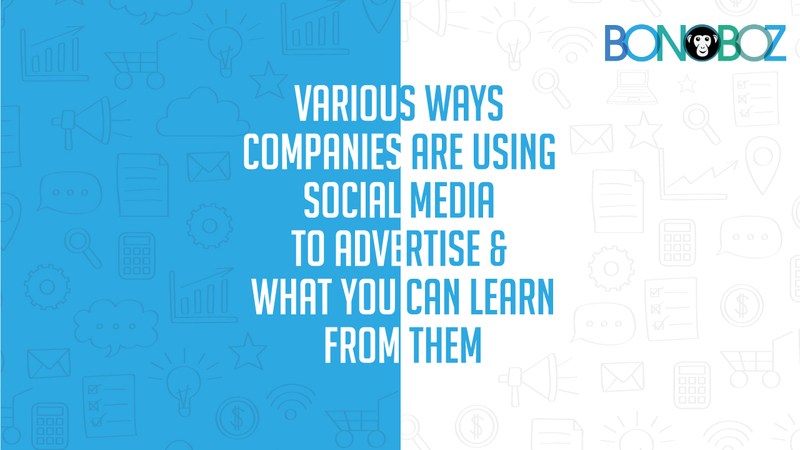 There are various ways companies are using social media to advertise their products, services and create brand awareness. If you have a brand, then, somewhere, someone is talking about you, whether you are aware of it or not. That’s social media for you! You can make the perfect social media marketing plan to advertise your services more and more, not joining the race will only harm your brand. You will lose potential customers and a chance to become the top brand on social media in your industry. Take a Note: Companies That Use Social Media Marketing Effectively Know Their Assets Well. What are you trying to promote? Who are your target consumers? Which social media platform is most likely to have most of your expected demographic? What strategy and elements will act as your best advocate in front of an audience? What’s the secret to companies doing social media right? Many things, to be honest. But, preparing high-quality content beforehand and scheduling updates with a consistent frequency do play vital roles. You need organization. Content calendars can help you set goals. You can plan posts with hashtags, relevance, images, links, and the right message in advance. It’ll help you define deadlines, form strategies, and track the progress of campaigns across all channels. Video marketing is an excellent personalization tool. It can attract a response, engage viewers, give way to conversations, and lead to conversions. On Facebook, videos get more than 8 billion views on an average in a day. Over half of the views on YouTube are recorded to be on mobile devices with each average session running for around forty minutes. Companies using social media to advertise their brands understand that it’s not a one-way medium. When you put a post up, it gets feedback. How you react to the response dramatically affects the image your brand projects on the target audience. Carefully monitor places where your name is mentioned. Spot issues. Nip them in the bud. Shape the conversations that include you to talk good, or reasonably. Interact with people. Solve the problems they have with you. Encourage direct contact. Be responsive.